I love this quick and easy meal. If I ever need to cook a meal in a hurry which will please everyone this is always a winner! 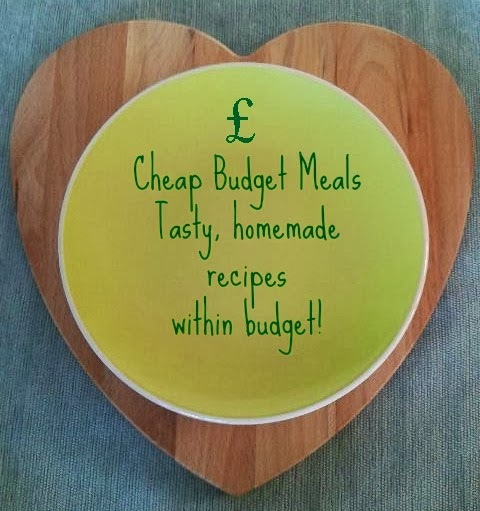 Not only is it a quick and easy meal, its is also a cheap meal to prepare and is full of taste! 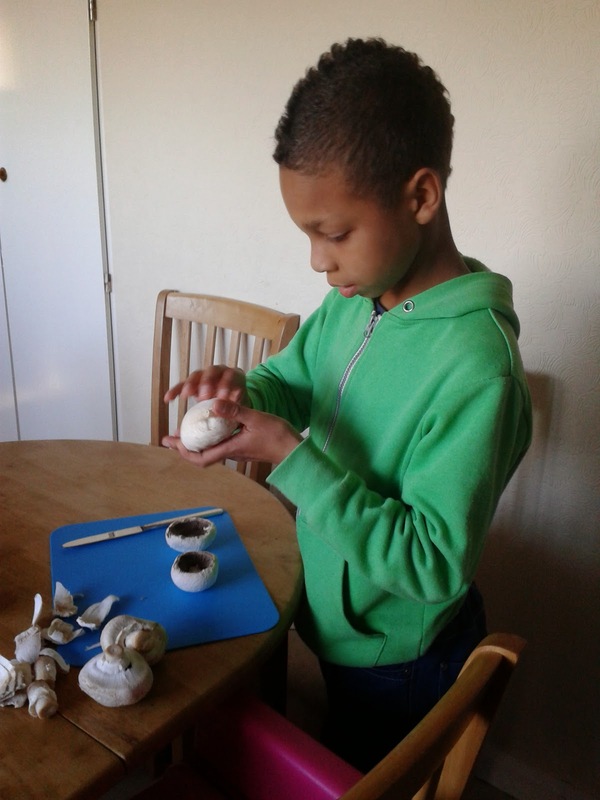 This week I had a helper in the kitchen. 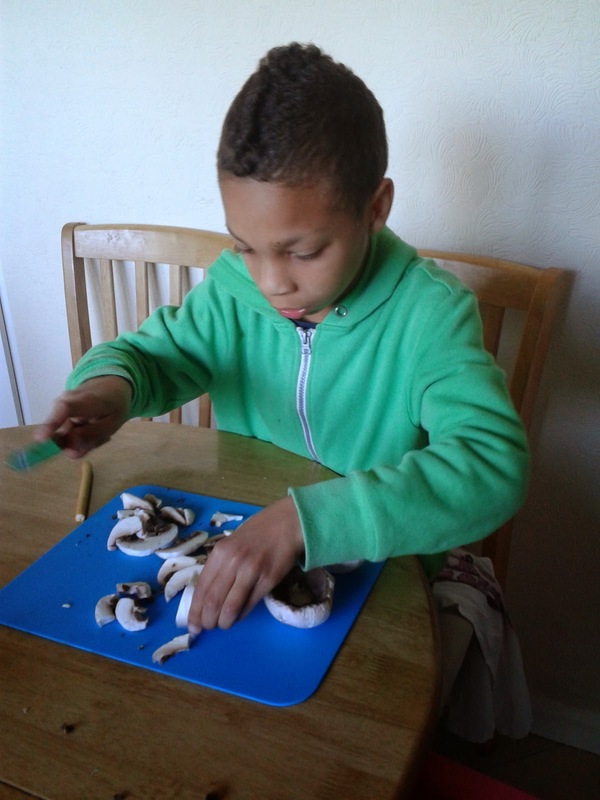 Joseph loved helping me by peeling and chopping the mushrooms. This dish is delicious on its own, with Parmesan sprinkled over the top, with a salad or with garlic bread. This meal served all 5 of us, with some leftover, for £5.66. That's just £1.13 per serving! You would also be left with half a packet of spaghetti and 2 eggs for another meal. Looks like an absolutely perfect family meal - and made by the family too! I've actually never made a carbonara *blushes* I love tomato based pastas. My partner loves it though so maybe I'll surprise him, follow your recipe and make this for him lol. Thank you for sharing this recipe. The food looks delicious. Hmmmm i like the sound of this! we love spaghetti carbonara! they are great! Good idea! Could be easily adapted too to suit different needs. My kids adore spaghetti carbonara. I'd not thought of letting them make it themselves, but I shall have a go! We love this but I haven't made it for ages. That's one of our favourite meals. Sounds delicious. We haven't tried this in a while, but must give it a go. My kids would love it. 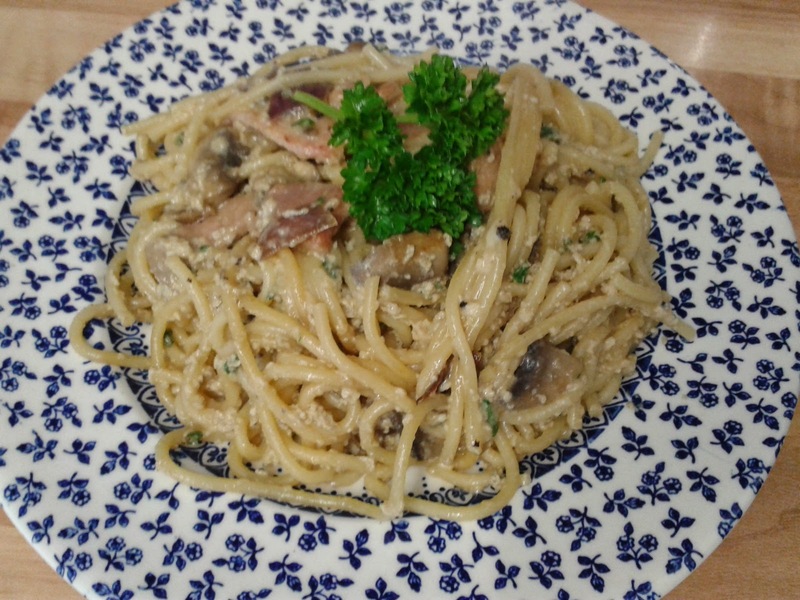 yummy - we recently discovered the joy of carbonara ourselves- the kids go mad for it"
We made this too this week, always a favourite in our house!